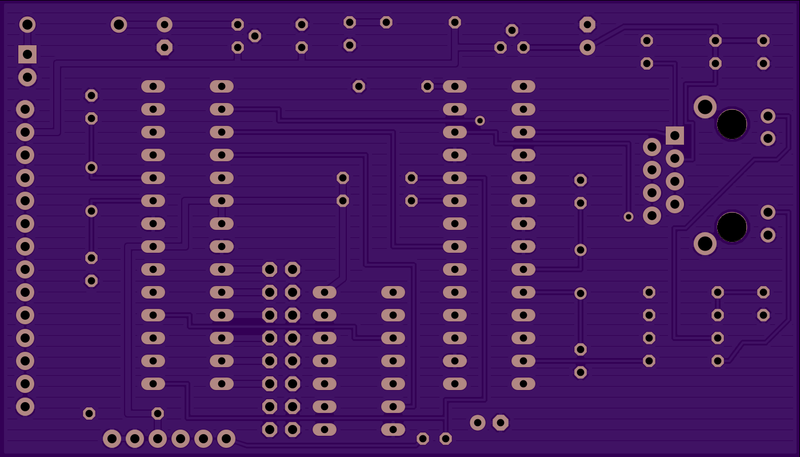 2 layer board of 3.50 x 2.00 inches (88.9 x 50.8 mm). Uploaded: August 5th, 2014 23:20. 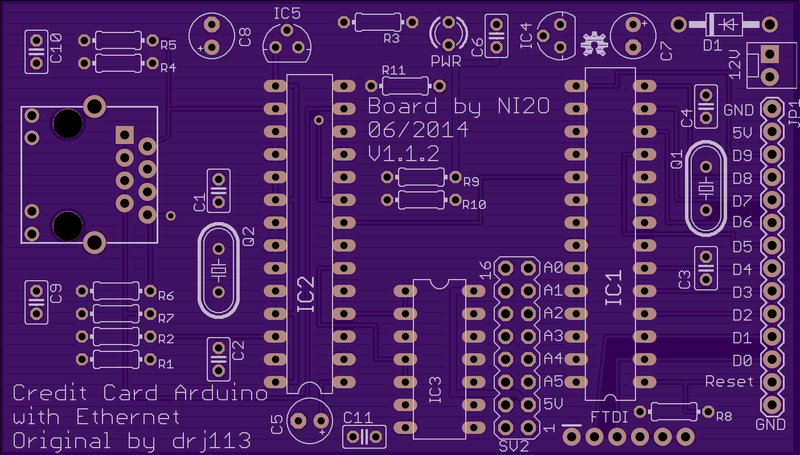 This is a ‘328 compatible board with ENC28j60 Ethernet (etherCard library). The original is from “drj113” over at http://www.instructables.com/id/A-credit-card-sized-Ethernet-Arduino-compatable-co/. His board was laid out in KiCAD which I don’t use so I converted it to Eagle and also swapped the SMD parts for regular ones. I replaced the DIP Switches with a dual header thus allowing the recovery of the analog inputs if desired. I use DHCP wherever possible and so selecting a fixed IP (see the Instructable) is very limiting for me as well as requiring me to write stuff down. I needed a few boards for some “embedded” projects around the shack. One of these boards will get pressed into service as an NTP clock with 20x4 LCD making use of the I2C pins to run the LCD.